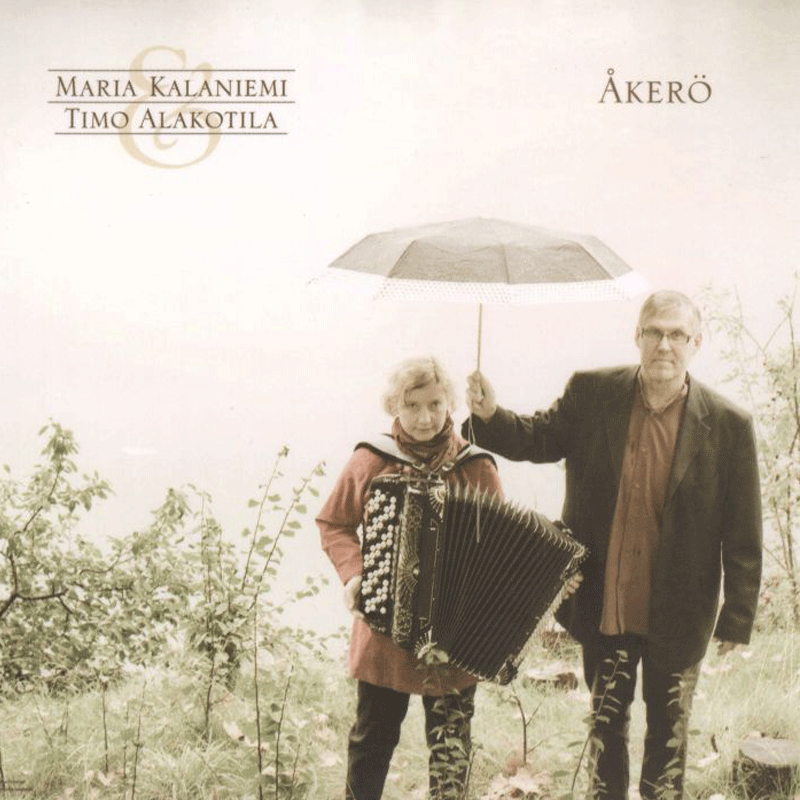 Accordionist Maria Kalaniemi and pianist Timo Alakotila have been working together for more than two decades. During this highly active and productive period collabrating in many formations, most notably as prime components in the contemporary acoustic ensemble Aldargaz, Maria’s and Timo’s musical alliance has grown as tight and as complimentary as can be imagined. Simultaneously soloists and accompanists, with instruments themselves that are both solo and accompanying instruments, Maria and Timo play extraordinarily sympathetically with each other, both deeply sensitive to the roles and relations of each other’s hands, as if all four were part of the same being. 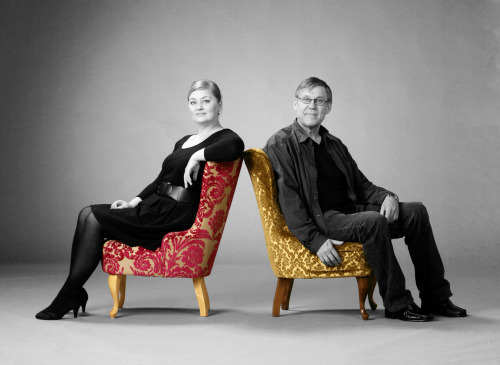 During these twenty years of playing, performing, composing and arranging together, each element of Maria’s and Timo’s musical style and character, individually and collectively, has matured:their virtuosy continues to improve to increasingly staggering levels while the delicate melodic force of their arrangements and compositions grows ever more potent. The ease and lightness of the performances creates a feeling of space and timelessness that, like all Timo’s and Maria’s music, seduces and subdues like nothing else. Their first duo album ‘Ambra’ was released in 2001. The album was a nominee for ‘Album of the year’ (Helsingin Sanomat). Their second album ‘Åkerö’ was released in 2011 (Åkerö Records). More information on Maria Kalaniemi‘s website. The music touches with its freshness and vibrance.It takes the listener on a journey through magical worlds,full of beautiful melodies, joyful and solemn. Two pianos and two very different artists have greated illusions of a soloists playing alone and a full orchestra within the same album”. “I wish the listener a good journey to an interesting magic world,guided by two impressive pianists”.